They wear this type of stuff in Holland ? "You keep her attention hanging clothes while I take these white wooden shoes". No caption. 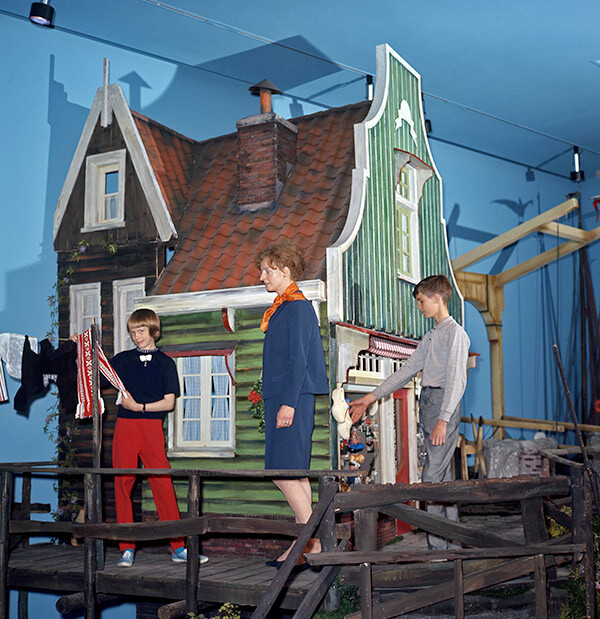 If this was in my family collection and I could be identified as one of this three hapless souls touching stuff in that weird little exhibit, I'd burn the photograph and possibly the entire house just to be certain the thing was really gone.